Just about a new button every day - as best as we can. Like the button? You can buy them. Get as many as you want - we'll make more. Until further notice, we are going on a hiatus. We need time to regroup and rethink our button deployment strategy since the current one seems to be working about as well as draining Lake Michigan using shot glasses. He broke through the color barrier and was a phenomenal baseball player. Jackie Robinson did all that and then some. His number, 42, has been honored for the last couple of years by the MLB - players wear his number on the anniversary of his major league debut - April 15. The Crash Test Dummies paid tribute to Superman with a lovely tribute song. Through it all, Christopher Reeve did not want to be pegged down to just one role - but he ended up being most widely associated with Superman. He did a great job playing the role of a man who, stuck in an apartment, can't help but notice a crime happening across the way in a remake of Rear Window. He was sadly paralyzed after an accident but made great strides to overcome it and remains in our hearts. I did indeed vote for the current president. I haven't been able to say that in 12 years. I'm quite pleased with the way the election turned out - but I'm sure you could tell that if you look at all of our buttons during the campaign season. I remember the exact day I found out he had tragically passed away. It shouldn't have ended that way. Though they were quite famous for the song "Smells Like Teen Spirit" I was always just a little more partial to "Heart Shaped Box"
Out of curiousity, what are your favorite memories of Kurt Cobain? Be they actual in person meetings or memories of listening to him play - I'd love to hear some memories. 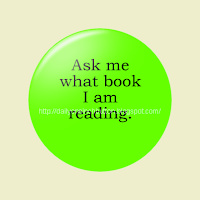 I will choose one memory from the comments and send the commenter a free copy of this button. It's on! Make with the comments. Sometimes it is the smallest things that can keep a person happy. 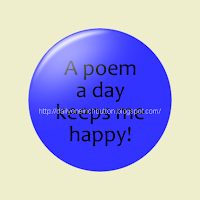 They say that it is good to have a few poems memorized. One of my grade school teachers challeneged me to memorize The Jabberwocky by Lewis Carroll. I still haven't managed to get that one down. We loved him even though he always talked about getting no respect. He was brilliant when he went back to school, even after he got Kurt Vonnegut to write a paper about Kurt Vonnegut - and still failed. You may have never gotten any respect but we certainly still love you - even after the Rappin' Rodney debacle. When are we ever going to get someone with your enormous talent again? You are tremendously missed, Rodney. I don't mind if you look over my shoulder, actually. I don't even mind if you are very curious about my Kindle. Born Selena Quintanilla-Pérez, Selena entered our lives and exited far too soon. She has been mourned ever since her passing in 1995. Worst of all, she was murdered by the president of her fan club. Let us celebrate her life with song and one inch buttons. It's pretty to the point. 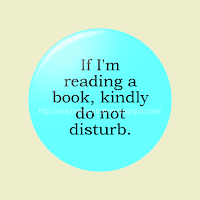 If I'm reading a book, I don't want to be bothered unless there is some kind of fire / nuclear holocaust situation that might require me to be relocated to a different building / nuclear bomb shelter. Then, of course, I can continue the reading.